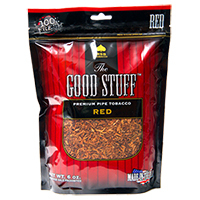 If you want the Good Stuff when it comes to tobacco blends, then you need to try The Good Stuff Pipe Tobacco! Grown and made in the U.S.A., this affordable blend is the stuff you need when you want premium and low-cost pipe tobacco! 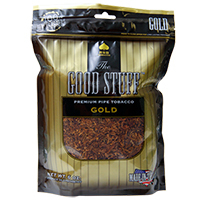 The Good Stuff Pipe Tobacco is a global leader in premium tobacco, with its consistency, unmatched quality and flavor profiles. 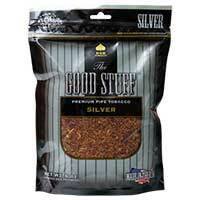 You’ll love how each bag is mixed with the perfect blends of tobacco you can’t get enough of! Each blend is also expertly dried and evenly cut so that you have the best smoking experience ever. People love The Good Stuff Pipe Tobacco because of its low-cost price! 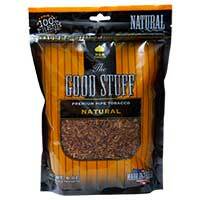 They can get several bags for the price of more expensive items, but The Good Stuff Pipe Tobacco has better quality. There’s a signature taste in every bag that gets enthusiasts excited each and every time they light up. 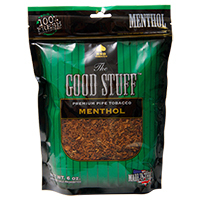 With a consistent finish and virtually no bad aftertaste, you’ll fall in love with The Good Stuff Pipe Tobacco the first time you try some. And with so many flavors to choose form, you’ll definitely find something you love!